The Mate 20 X is Huawei’s attempt at making a gaming phone that’s capable of rivaling the Nintendo Switch – currently the undisputed king of portable gaming. The peripheral the company made such a big deal about at the phone’s launch has since failed to appear; as far as I can tell, it isn’t on sale anywhere. Even if it was part of the package, I still can’t see the Mate 20 X being a rival to the Switch. Android’s gaming library isn’t anywhere near developed enough to justify the comparison. 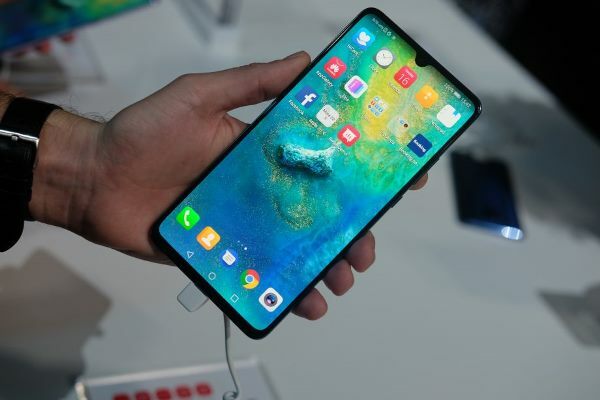 But if you simply want a giant phablet with top-end specs then the Huawei Mate 20 X is a solid phone in its own right, likely to meet 99% of users’ needs – if you can stomach its huge dimensions. The Mate 20 X is a behemoth of a smartphone, even by phablet standards. Featuring a 7.2-inch display, half a decade ago it would have been classed as a tablet, not a phone. The moment I picked it up I had flashbacks to the time I reviewed the Asus Fonepad. Coupled with its 8.1mm thickness, the Mate X 20 is a giant device that takes some time to get used to. Even as a regular phablet user I found the device a little difficult to navigate, and unless you have bear paws for hands, you won’t be able to use it comfortably one-handed (even with the assistive software feature). The phone is pretty decent when it comes to functionality, too. Around the back, you’ll find a small fingerprint scanner that’s neatly seated below the top tri-camera. At the bottom, you’ll find the now standard USB-C charging port and one of two dual speakers. The only atypical feature is the 3.5mm jack, which sits on its top and makes the Mate 20 X one of a select few handsets capable of connecting to cabled headphones without a dongle. Build quality is solid, although I’m not convinced the glass back – coupled with its hefty 232g weight – will survive even a moderate drop. Remember when tablets with 7-inch displays like the Google Nexus 7 seemed so much larger than our phones? The Mate 20 X adds an extra 0.2-inches onto that in a much smaller overall form factor and hits an intimidating ~87.6 percent screen-to-body ratio. Putting aside the fact it can be cumbersome to handle a phone this large, the actual display is a joy to use whether you’re playing a game, taking a photo, or just flicking through a thread of massive WhatsApp speech bubbles. The AMOLED panel delivers suitably deep blacks and rich colors, although Huawei oversaturates everything a little out-of-the-box. Thankfully, you can tweak the color mode, temperature, and schedule a blue light filter in the display’s settings menu. The Mate 20 X outputs at 1,080 x 2,244 as standard, but this can be manually dropped to HD+ (720p). You can also ask the phone to adjust the resolution automatically to save power. Compared to the Mate 20, the Mate 20 X upgrades from LCD to AMOLED, although it’s disappointing to see Huawei stick with Full HD+ rather than Quad HD like the Mate 20 Pro. You’ll still have to peek closely to see those pixels, but if 1080p and 381ppi sound low for a screen that’s 7.2-inches, that’s because, frankly, it is. Finally, if the notch is something that’ll bother you, Huawei has included the option to black out the notification bar. 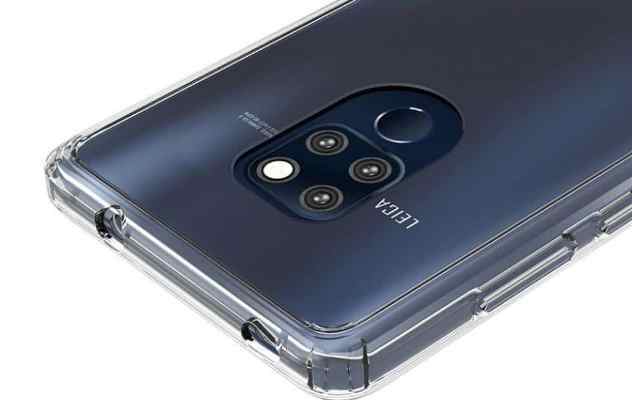 The Mate 20 X features an identical square-shaped, triple-lens camera module to Huawei’s flagship Mate 20 Pro, so it shouldn’t be a surprise that it delivers a solid and incredibly versatile photography experience. Those three cameras are a primary 40MP lens (f/1.8 aperture), an 8MP telephoto camera (f/2.4 with OIS), and a 20MP ultra-wide shooter (f/2.2 aperture). The selfie camera, meanwhile, is a single 24MP camera (f/2.0). The Mate 20 X’s 40MP sensor uses pixel binning to combine four physical pixels into one large 2µm pixel for better light capture and dynamic range. The resulting 10MP shots are mostly fantastic. While the camera can overexpose shots from time to time — particularly in lower light — the Mate 20 X produces vibrant, colorful images without switching from Auto mode. The only real downer I have on the Mate 20 X’s photography suite is the selfie camera which has a tendency to wash out images. Turning off the AI HDR mode helps slightly but it still lacks detail and is nowhere near the same standard as the rear shooter. The Mate 20 X is a solid performer regardless, so this isn’t too serious an issue. It’s powered by Huawei’s Kirin 980 CPU, ARM Mali-G76 MP10 GPU and a generous 6GB of RAM. The combo is more than powerful enough to blitz through pretty much any game on Android with zero issues. Playing everything from PUBG to Asphalt and Banner Saga 2, I didn’t suffer any performance issues using the Mate 20 X. The phone’s custom cooling system also performed admirably. The Mate 20 X’s vapor chamber cooler has a graphene film that, according to Huawei, helps it dissipate heat much more effectively. The system worked a treat during testing and meant the phone never noticeably heated up, or suffered from CPU throttling – even during prolonged gaming sessions. Huawei has made great use of the phone’s size in the battery department by cramming in a mighty 5,000mAh cell. With an average screen-on-time of 12-14 hours during my tests, if you’re only using the Mate 20 X for social media and browsing the web there’s a good chance you could easily squeeze two or possibly even three full days out of this beast. On the biometrics front, the rear fingerprint sensor may be a little hard to reach but it’s fairly accurate and much faster than any in-display alternatives currently available. The Mate 20 X also supports face unlocking. However, without the fancy 3D mapping sensors on the Mate 20 Pro, what you’re getting here is a less secure, software-based variant. The Mate 20 X comes with 128GB internal storage as standard, although this can be expanded up to 256GB by taking up one of the dual-SIM tray slots. Unfortunately, the Mate 20 X only supports Huawei’s proprietary nano-memory cards which cost twice the price of an equivalent standard MicroSD card. Huawei’s software is best described as “Marmite”. The custom Emotion UI (EMUI) skin has come on leaps and bounds since Huawei first debuted it, but it isn’t as clean as I’d like. Huawei’s software has come a long way in recent years, culminating in the Android Pie-based EMUI 9.0. The app tray is still missing by default, and the Settings menu is completely different from Android 9’s native interpretation. There are also duplicate apps for pretty much every feature, from contacts and calendar to music and video players. This makes the UI feel cluttered when compared to the likes of the Razer Phone 2, which uses Nova Launcher, while the Galaxy Note 9 uses Samsung’s Experience skin. In addition, there aren’t many gaming-focused software additions. Unlike the ROG Phon,e there aren’t any CPU/GPU clock-speed readers or frame-rate counters, which again makes the Mate 20 X feel like a “gaming phone” in name only. The Huawei Mate 20 X is available in the U.K. priced at £799.99 which is approximately 380k in Nigerian Currency.